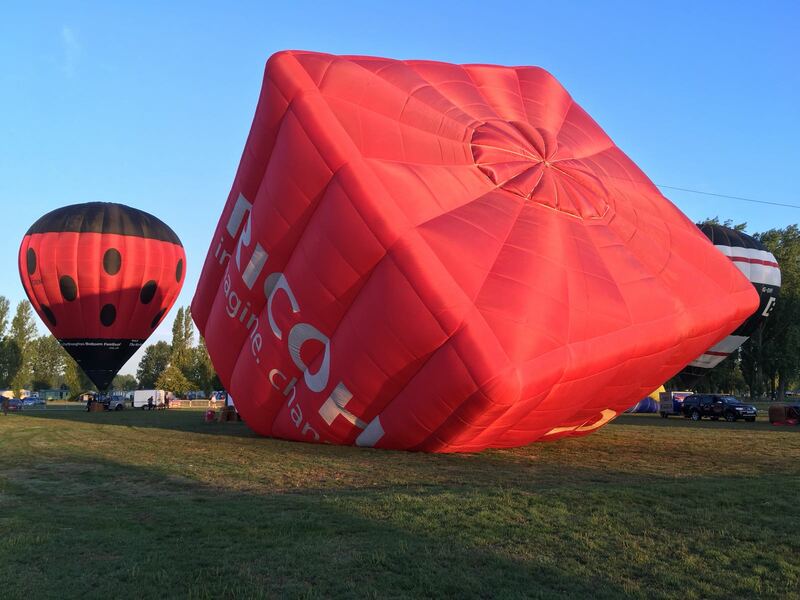 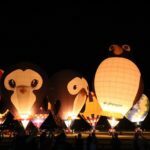 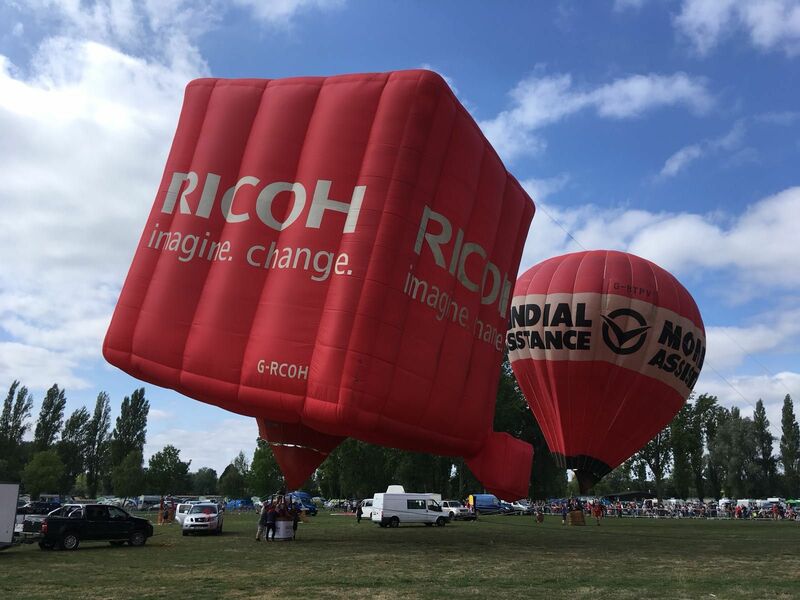 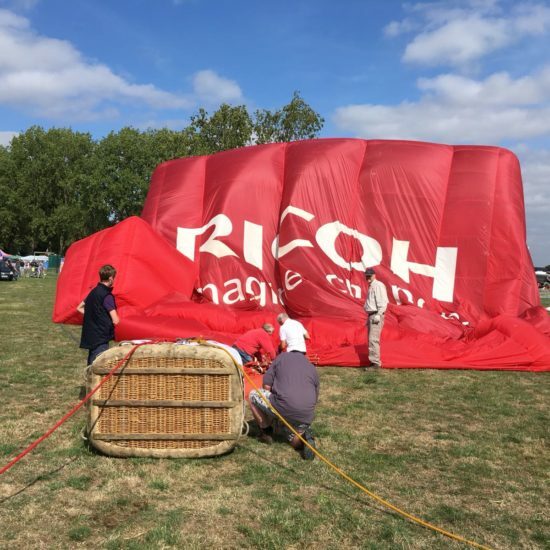 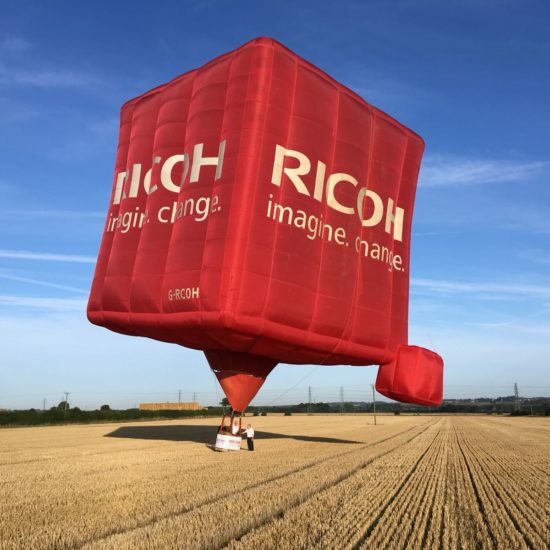 The 2018 Northampton Balloon Festival took place this weekend and we were on site with our Ricoh imagine.change. 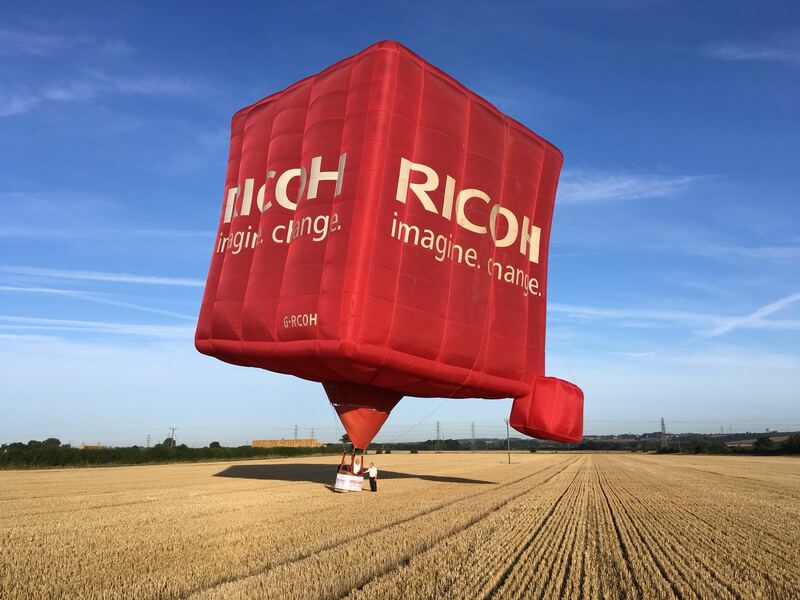 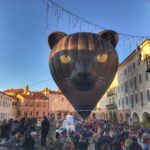 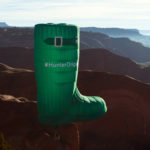 special shape hot air balloon. 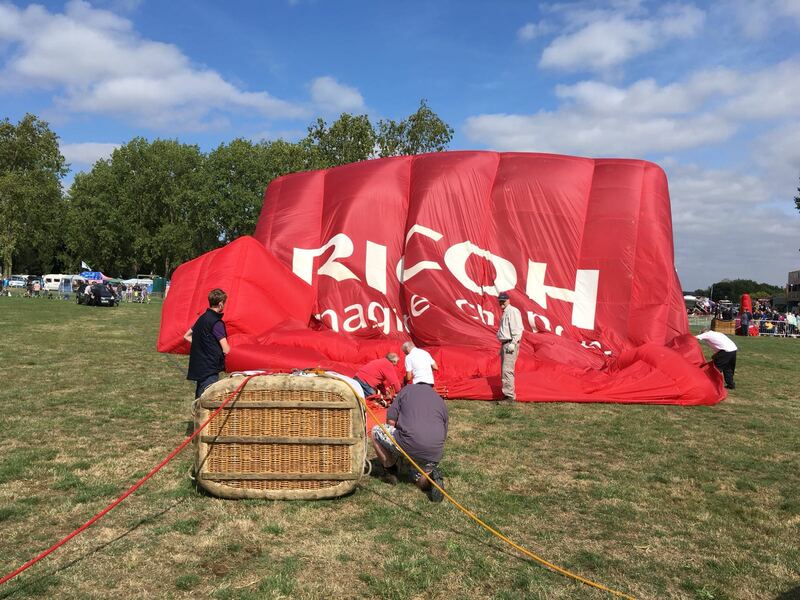 This family friendly event is now in its 29th year and was held at Billing Aquadrome. 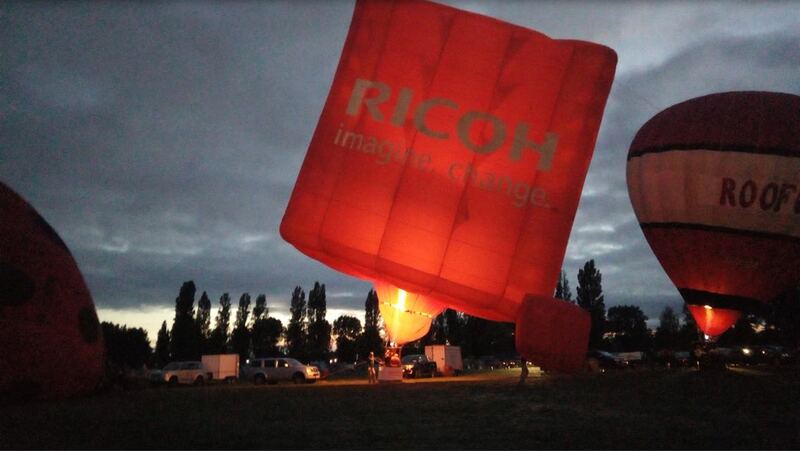 Northampton is the home of Ricoh’s UK head office and the crowds were filled with many Ricoh employees, all of which had come out with their families, to see their companies giant red cube balloon! 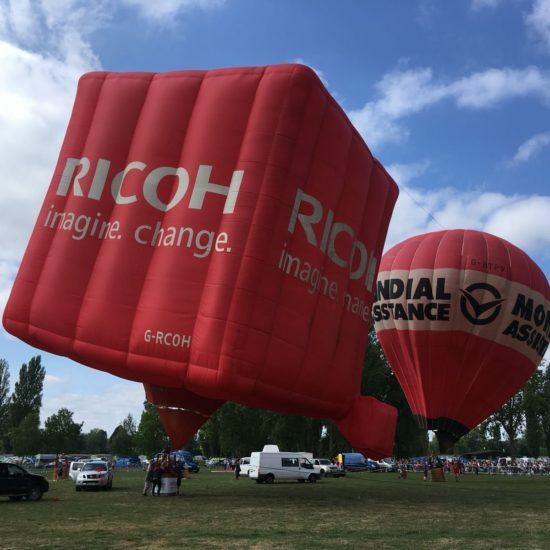 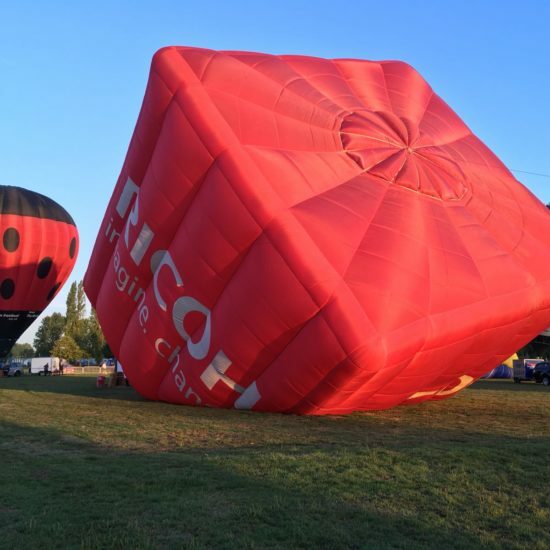 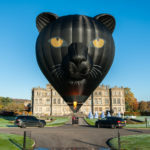 The weather provided some challenging conditions but there was a mass ascent on Friday morning and the Ricoh balloon appeared on ITV Anglia’s lunchtime local news. 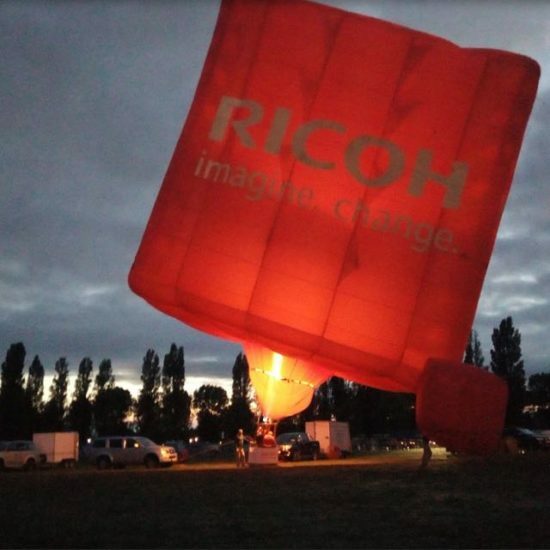 On Saturday afternoon we were tethering in the main arena for the crowds and while the evening conditions meant many of the balloons were unable to inflate for the Night Glow, multiple teams still joined in with their basket and burners only and our highly experienced team worked hard to ensure the Ricoh balloon took centre stage, with only several other balloons, to light up the night sky.